Though collectors everywhere feel a pang in their sides from seeing the rare sight of a Top Loader edition NES (NES-101) so brutally redone, everyone else can lean back and enjoy this beautiful reconstruction. 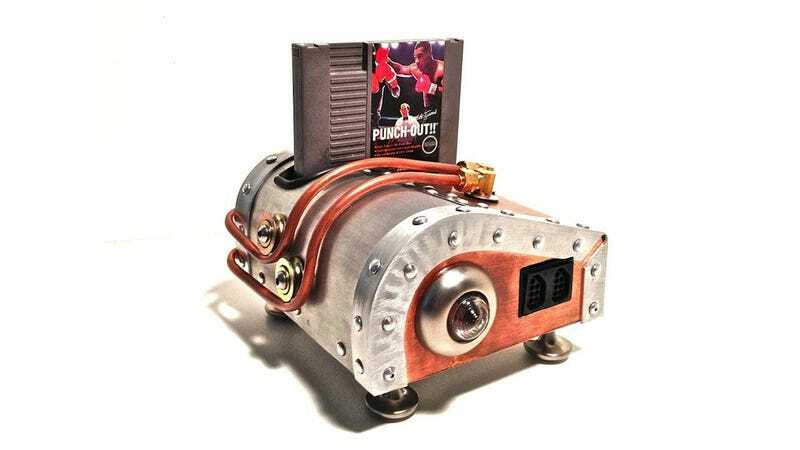 Reddit user Andrew5785 took his old NES, and turned it into something a little more steampunky for his nephew. Head over to the link below to see the design process, though you probably can't tell he rewired the power switch to the side.